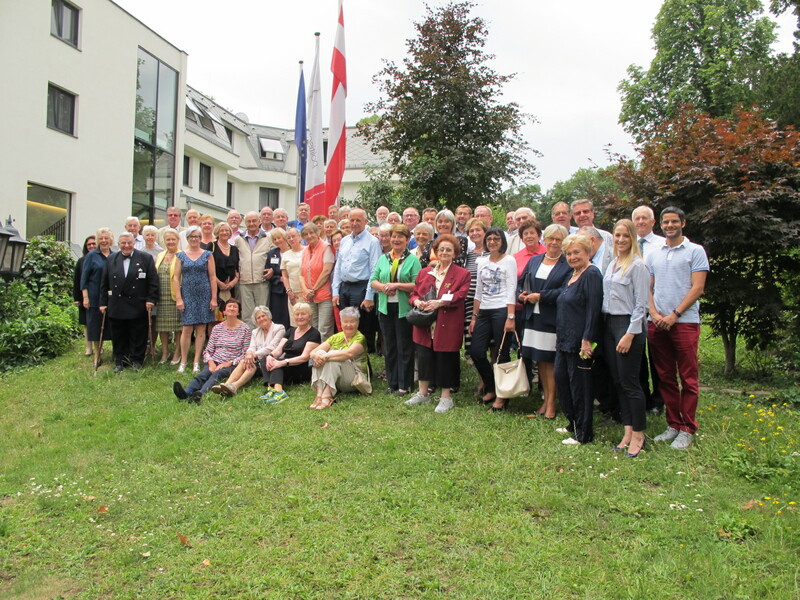 VIENNA- 6th– 8th July, the European Seniors’ Union (ESU) organised, with support of the Wilfried Martens Centre (WMCES) and the Politische Akademie der ÖVP (Polak), its 9th Summer Academy concerning ‘Europe’s Demographics: From challenges into innovative and coordinated opportunities’. Ingred Korosec, president of the Österreichischer Seniorenbund (ÖSB) and Member of Vienna Regional Parliament opened the Summer Academy at the Politische Akademie in Vienna. Followed by our president An Hermans who introduced this year’s topics: Silver economy, cooperation between generations and the potential of seniors in economy and politics. MEP Heinz K. Becker and Mag. Andreas Prenner spoke about Silver Economy. Prenner, from the Federation of Austrian Industries, stated: “today many seniors feel younger and are travelling digitally with positive effects for their mental and physical mobility and their well-being”. MEP Heinz Becker highlighted the main topics in the future European politics and introduced the agenda of the Austrian Presidency of the Council of the EU. All speakers and participants missed the presence of Mrs Marilies Flemming, who was the leading and inspiring person of all previous Summer Academies. Mag. Sophie Psihoda from ÖPIA; the Austrian platform for interdisciplinary ageing matters, was our youngest speaker in Vienna and ended the first day with a speech about “Vision AAL – innovative concepts for the target group of senior citizens”. She said: “ageing should be seen as an interdisciplinary case and the independence of older people should be preserved as long as possible”. What followed was an open discussion; moderated by our secretary general Guido Dumon, about the questionnaire that was send to the participating organisations in preparation to the Summer Academy. The focus of these questions was on the coming EU elections. All participants had the chance to exchange their ideas and activity-plans in the run-up for the elections. They could also make recommendations for an ESU strategy. This leaded to a vivant discussion and interesting exchange of initiatives. Economic recovery: as a precondition for social benefits and prosperity. Murphy and Christian Kremer, the EPP deputy Secretary-General, assigned great importance to EPP-affiliated associations, the ESU among them. On the last day we focused on: “European elections and social media“ with two keynote speakers: Mr Matteo Albania, EPP Communication and Marketing Officer and Mrs. Sophie Valtiner, Social Experte of ÖVP. They answered all the questions of the participants and… encouraged them to be more active in the social media. In her concluding notes, ESU President Prof. An Hermans thanked all those involved for their presence and participation of all kinds. The Summer Academy has become a collaborative effort and we are all looking foreword to its tenth anniversary, she said. She expressed her believe that the knowledge and experience gained in Vienna will be incorporated into the political work at home.